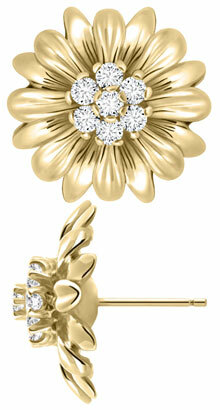 This beautiful pair of 14K yellow gold large flower earrings have seven .06ct round diamonds set in each one. All diamonds have a color of H and a clarity of I1 and a total carat weight of 0.84 carats. Part of our new designer line, these earrings have a matching ring.